You are going to Watch Naruto Shippuden Episode 364 English subbed online free episodes with HQ / high quality. 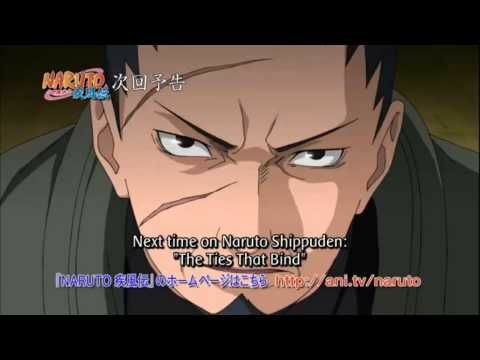 Stream Anime Naruto Shippuden Episode 364 Online English sub The Ties That Bind. In the midst of the Allied Shinobi Forces’ attack, the Ten-Tails undergoes a sudden transformation which allows it to easily repel the attack as well as escape from the concrete pit. Madara and Obito then begin launching Tailed-Beast Balls in all directions, eventually targeting the Allied HQ. Realizing the inevitable, Shikaku has Inoichi relay one final plan to the Alliance in order to stop Madara and Obito, before the HQ is annihilated. Afterwards, Madara outlines his plan to become the Ten-Tails’ jinchūriki to Obito, before the latter has the Ten-Tails launch a barrage of wooden spikes at the Alliance, killing countless more shinobi, and also resulting in Neji receiving a fatal wound after defending Naruto. As Neji dies in Naruto’s arms, Obito uses the opportunity to demoralize Naruto. However, Hinata with support from Kurama steps in and boosts Naruto’s morale. Afterwards, Obito recklessly launches a close-ranged Tailed-Beast Ball, which is repelled by the recovered Bee. Finally, drawing strength from the bonds he has made, Naruto prepares for a counterattack whilst infusing Hinata with Kurama’s chakra.